"If you're anything like most of our new clients, you've never heard of Neuro Therapy and have a lot of questions. 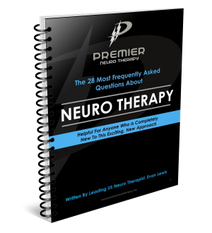 I've taken the time to compile the 28 questions people ask most about Neuro Therapy and include the answers in a free guide. This is a great place to start if you're looking to learn more about the process for yourself, friend, or family member." The brain and nervous system control movement and pain in the human body. 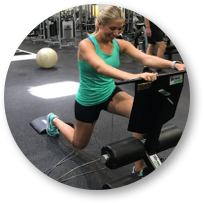 Correction of issues in the nervous system leads to proper muscle activation and more efficient movement. When the body moves efficiently, injuries and chronic pain heal quickly. Assess movement to identify limitations and establish a baseline for improvement. 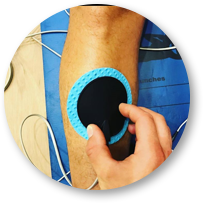 Scan body with electricity to identify the unique neurological protective mechanisms that may contribute to your pain and decreased performance. 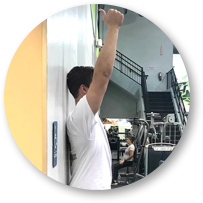 Move through full range of motion exercises to re-wire the nervous system to work efficiently. Want Help Deciding If Neuro Therapy Is Right For You?